The 2018 APATS conference hosted by the Halldale Group takes place Aug 28-29 in Singapore and our team at Pelesys are ramping up preparations for the annual Asia Pacific Airline Training Symposium. We have been working to build, foster, and strengthen relationships with clients and potential customers throughout the Asia Pacific Region over the past number of years and as such we always look forward to connecting in person at APATS. This year at APATS we will have a significant presence including our sponsorship of the conference, our exhibition booth and the presence of our Pelesys team, but 2018 is an especially exciting year for us as it will be the first year at APATS that we will be working closely with our partner, CAE. We recently sat down with Geoff Schnitzer our Sales Manager to get a breakdown on what to expect from Pelesys at APATS and to see what he is looking forward to seeing at the conference. What can we expect to see from Pelesys at APATS 2018? During APATS, Pelesys will be looking to highlight our current Training Management and Deployment Suite of systems, including the newly deployed Exam Generation System, Training Scheduling System, and forthcoming update to our Graphic User Interface. The conference is also a great forum in which to foster existing client relationships, and also engage with new customers in multiple settings throughout the week. Will you get a chance to see any of the speakers at APATS 2018? While we don’t always have the opportunity to take in all of the speakers that work hard to present material during APATS, there are a few keynote speakers, that have just been announced, whose presentations are high on my list to attend during this year’s event. These include Captain James Mitchell – EBT Implementation, Captain Torbjorn Wisher – Perspectives on the Future, and also Captain Quay Chew Eng during the Keynote Address. I am also looking forward to seeing the presentation from Pelesys’ Director of Maintenance Training, Mark Ballard who will be presenting on Innovative Training for This Generation of Technicians. What else are you looking forward to at APATS 2018? As Pelesys has an established client base around the globe, we have fostered strong partnerships that have helped contribute to our recent, and continued, success. A conference such as APATS is always a great venue to bring people together face-to-face, and I am looking forward to connecting with my counterparts within CAE, as well as those partner organizations that we work with through various deployed solutions, including Logitude and Faros. As I am based in Vancouver APATS also presents a great opportunity to travel, and I always enjoy the sites, sounds, and hospitality found in Singapore. I am very much looking forward to the networking opportunities throughout APATS, and the chance to engage with both current and prospective clients, in a less formal setting. APATS 2018 takes place Aug 28 – 29th in Singapore. 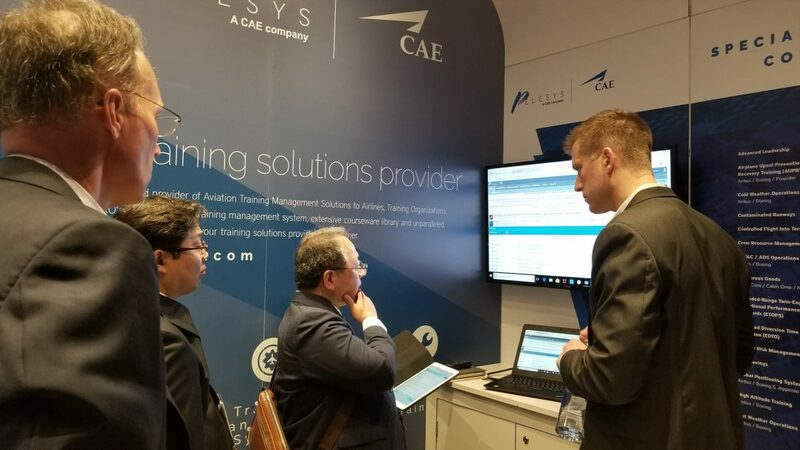 Make sure to stop by booth #202 on the conference floor to learn about the latest innovations from Pelesys in aviation training courseware, systems and more.